Whenever you visit a new dive destination, it’s wise to check out on the type of diving you will be indulging in. If it’s not something you are used to regularly doing then it’s a good idea to brush up on the skills and techniques that are relevant to that particular type of diving. Khao Lak being a world class diving destination, it offers many types of diving; however, you will encounter three main types. 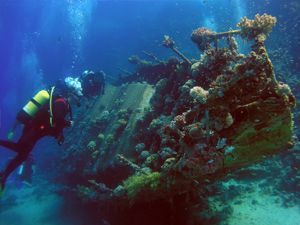 Drift driving, particularly in the Similan Islands, and closer inshore there are wrecks and muck diving. One thing you will need to enjoy diving in Khao Lak is good buoyancy. Having good buoyancy, apart from being the foundation of all good diving skills, is vitally important in muck, and wreck diving. You do not want to be bumping into lumps of rusting metal, nor do you want to accidentally crush the little critter you are looking at. If you are relatively new to diving it might be worth taking up a buoyancy specialty, otherwise ensure that you polish up your buoyancy skills. Around Khao Lak there are quite a few wrecks, from the Khao Lak wreck park to the far more famous Boonsoung. 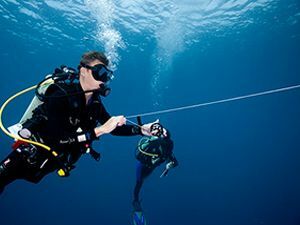 Make sure you are familiar with wreck diving techniques such as modified flutter kicks so you can glide down corridors, as well as noting entry and exit points. Whenever you may be having a look inside a wreck it is always a good idea to bring a small torch – which can double as your backup torch on night dives. A torch can make a world of difference exploring a wreck, since even well-lit areas can still be quite gloomy, a torch will light up the gloom as well as allow you to experience the colors and light up the slightly darker areas in the wreck. If you venture out to the Similan Islands, then you will encounter currents, and drift diving is the norm. As with most other types of diving you need good buoyancy and be comfortable with your propulsion techniques. The first rule of drift diving is never fight the current – you can’t win! You will end consuming enormous amounts of air and exhausting yourself very quickly. If for some reason you need to be against the current, say when you need to pause to let the group catch up, there are a couple of things to do. Firstly, get as close as possible to the reef where the current is weaker. If there is a protrusion or rock, you can use it to hide behind and protect yourself from the current. Secondly, remember that to let the group catch up you just need to be going slower than the rest of the group. You don’t need to stand still, just reduce the speed the current is pushing you forward relative to the other divers. Muck diving can be one of the most frustrating or exciting diving endeavors you undertake. Aside from knowing what to look for and where to look for it, you need to have absolutely spot on buoyancy and great propulsion techniques. Master the frog kick, with your knees bent at 90 degrees. You need to be able to swim relatively close to the bottom to have a chance of catching sight of the little critters. Flutter kicking this close to the bottom will leave a trail of silt and destruction in your wake. Learn to frog kick properly and slow down! Swimming at a normal pace will result in you swimming past all the good stuff, you need to be slow and methodical as you scour the bottom to find all the wonderful little critters. Finally, perfect your use of the SMB, it is one of the key safety features of drift diving. Learn how to safely and properly deploy your SMB. One thing to remember is to ensure there is enough air in the SMB so that it sits proud above the water. After all, the higher the SMB is out of the water the more visible it is. One trick to achieve this is to deploy it deeper, allowing the air to expand more and filling the SMB. While normally divers deploy the device at around 5 meters at the beginning of their safety stop, consider deploying it from around 10 meters near the end of the dive, as you approach your safety stop. This should ensure a proud plump SMB on the surface. So, do I need to bring several reels to penetrate the wrecks? Not unless you are planning on doing some technical wreck penetration dives. Most of the wrecks in Khao Lak are straight forward to dive, so you don’t need to lay guidelines etc. It is however a good idea to have a small reel or jump spool whenever you are diving on a wreck. This is just in case you find a small area of the wreck that you want to explore. Be aware that even having a reel does not mean you should push beyond what is reasonable or safe. Make sure you use good judgment and be safe when exploring any wreck. How do I improve my spotting? Learning to spot the little critters is probably one of the hardest things to master. It requires knowledge, dedication and practice. The first thing you need is to learn what you are looking for and where they live, for instance, pyjama slugs – Chromodoris quadricolor – tend to live on sponges and little bits of coral, so there is no point scouring the sand for them. As a more general rule when you are muck diving, most little critters live on some form of debris or coral. On a nice sandy bottom look for groups of rocks, small coral pinnacles etc. they are your best chance. Beware that there are some critters that live primarily on the sand, generally they are the hardest to find, and require a bit of luck. In summary, know where to look, and make your searches tactical. If the currents are strong, do I need to bring a reef hook? Reef hooks by their very nature are somewhat of a controversial topic since they do involve the diver using them to physically hold themselves in one place, which can damage the reef. Generally, reef hooks are used in locations such as small plateaus etc. where the diver needs to stay fixed for most of the dive and look out at the generally bigger stuff in the blue. While most diving in the Similan Islands is drift diving there are no sites where you need to fix yourself on a small area and watch big stuff. In addition, the Similan Islands are a national park so you don’t want to use reef hooks there. How do I improve my SMB technique? when it comes to diving, practice makes perfect. The only way you will get to master your SMB deployment skills, is through repetition. Start slowly until you master the technique and then build up your speed. One of the easiest ways to polish your technique is with a friend in a pool. One diver repeatedly deploys their SMB, while the other diver on the surface deflates the SMB every time it hits the surface, so it can be lowered and deployed again. A couple of one hour sessions should have both of you deploying SMB’s like pros.